I just happened to stumble upon this Video from ABC News’ TECH THIS OUT. 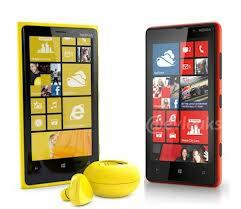 It features Stephen Elop in an interview with ABC’s Techie, Joanna Stern, where he introduces the new Lumia 820 and 920. He also answers tough questions like “why didn’t Nokia go Android” and what he plans on doing to take Nokia back to the top. The Lumia 920 is already gaining a lot of traction especially since iPhone5’s failure to wow its audience. Everyone is looking for innovative stuff and with the iPhone5 only touting Panorama mode as one of its main features (a features that has been available more than 4 yrs ago), it looks like a stiff competition is underway between Apple, Google’s Android and the under dogs Nokia Lumia. Needless to say, It is going to be an interesting holiday season.